Today’s design spotlight features the newly refreshed Instant Identity branding design, “The Four Seasons.” Why choose a brand that features only one season when you could have one for all four? A swooping curve encompasses four photos that distinctly represent each of the four seasons. The photos blend together seamlessly transitioning from one to the next. 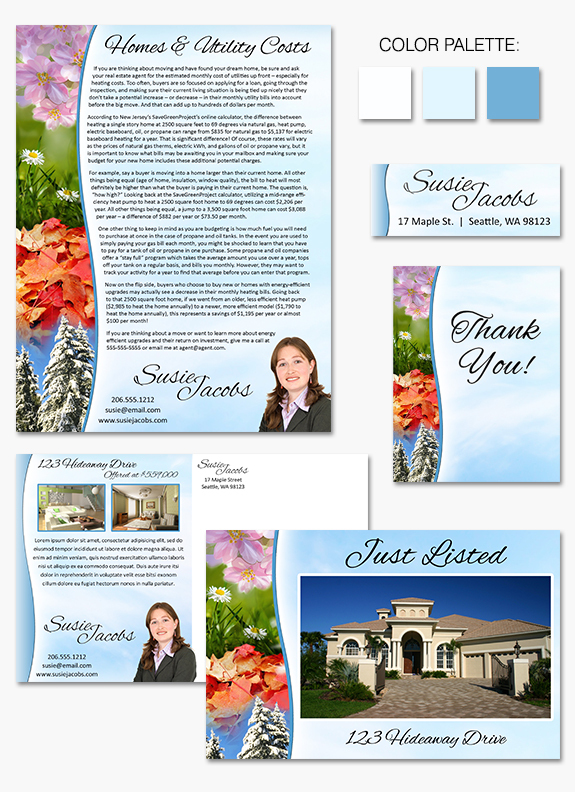 The body of the page shows a blue sky background – a commonality found in all four seasons. A friendly swirling script font echoes the curving lines of the design, adding the finishing touch. This design is sure to be in style all year long! « Ask Denise: Why Zebras?